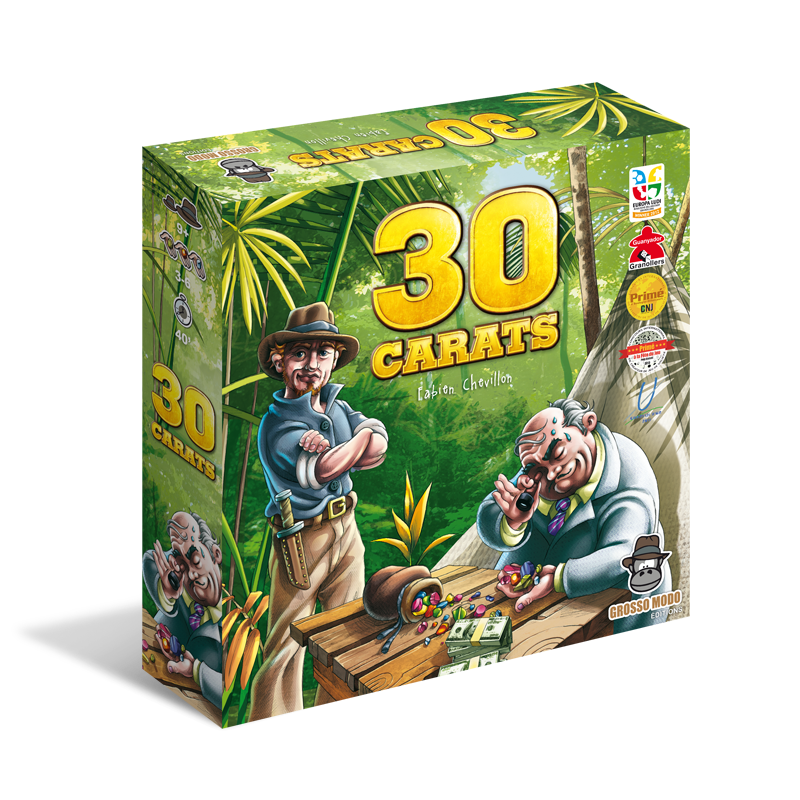 30 Carats is a game of trading but with an interesting twist. Each player starts with one of each gem (one colour for each player) and some gold. The winner is the player with the highest value of gems and gold at the end of the game. The values of each type of colour gem are determined by cards which range from +30 to -30 each. However, at the start of the game, each player only knows the value of one of the colours of gems because each player is given one value card each (and that’s the value of the gem colour that matches their player screen). Gold nuggets are always worth +10 each. 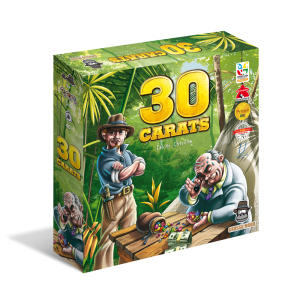 Players takes turns and the game lasts 3 rounds. On a player’s turn, they will offer a mix of gems and/or gold and the other players will bid some of their gems/gold in return. If the player accepts one of these offers, the two players swap their offered gems/gold. However, before the current player makes their offer, they reveal a transaction card which gives them some rules as to what the offer must contain and also whether the other player’s bids will be made simultaneously or sequentially. The rules are things like using specific gem colours, or mixtures.